ITS (UK), the voice of transport technology in the UK, will be joined by leading figures from a range of UK transport authorities including the Department for Transport, Transport for London, Highways England, Transport Scotland, Traffic Wales and Northern Ireland’s Department for Infrastructure. Speeches and discussions at this landmark event will address key issues such as how technology projects get prioritised and funded, as well as barriers to achieving the best outcomes. The director of Michigan’s Department of Transportation and CEO of the American Center of Mobility, Kirk Steudle (pictured), will be the keynote speaker, discussing how he used technology to improve transport in his state, how it was funded, how it gained support and what lessons were learned. He will also give his views on the future. The event will host an Oxford-style debate on whether the focus on driverless cars is good or bad for the ITS Industry and the future of transport. 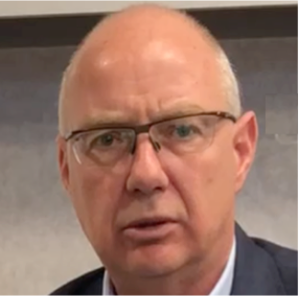 Under the chairmanship of esteemed consultant and ITS (UK) Connected Vehicle Interest Group chair Andy Graham, debaters will include CAV critic and veteran transport journalist Christian Wolmar and CAV supporter Giles Perkins, who is Future Mobility Technical Director at WSP. The event is designed to encourage delegates to engage in debates and give their views throughout the day. The summit takes place on 27th November at the Bristol Harbour Hotel. ITS (UK)’s annual President’s Dinner and Awards ceremony is the night before, hosted as always by its President, Steven Norris. For details, go to www.itssummit.co.uk.